After running in the hood to coast race in Portland and spending a week working in Vancouver, WA I started the drive to Idaho. 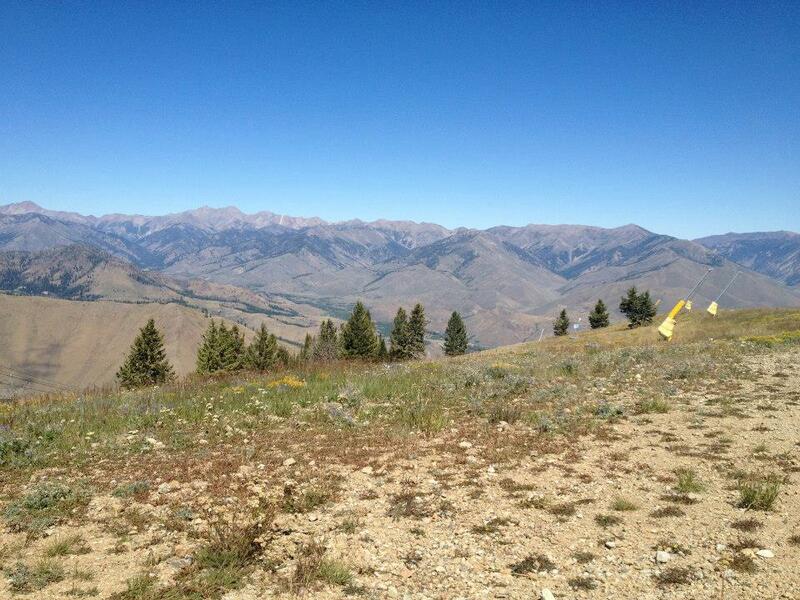 Besides a $260 speeding ticket my drive to Idaho was spectacular. I really like driving and have no problem driving long distances on my own. After working all day, I made it to Ontario, Oregon on the first night which is just west of the Idaho state line. I arrived at the Hailey airport 2 hours ahead of schedule and made friends with the hotel shuttle driver who was waiting for the next flight to come in. I assumed that it would be all the VQ people and it was. It was nice to finally see some familiar faces after 5 days of being on my own. Everyone piled in the bus and the chatter began. Not long into the drive Robbie received a call from my coach Mike. Apparently he had been mountain biking with his brother earlier and flipped and broke his collar bone. We all sort of sat in disbelief. He was so dialed in for this race and I couldn’t believe that once again he had such bad luck. In Kanza in May he experienced 5 flats and a fall and now this. He wasn’t even going to be able to start this race. I knew knowing him that he would put on a brave face but I also knew that he had worked really hard to be ready for this particular race. Where most people would be crushed and likely would have flown home to have the shoulder taken care of right away he embraced the chance to cheer his teammates on despite the pain. I just can’t begin to explain the gratitude the whole team had for his encouragement at the 40 & 60 mile aid station of the race. I also can’t even begin to imagine exactly how much pain he was in. Later he found out that it was one of worst breaks the surgeon had seen, apparently his collar bone was splintered in several pieces. If Rebecca Rusch is the queen of pain, this guy is definitely the King. His strength and determination is infectious, when you are around him you want to do well. So here I was again at another race. You may wonder and I wonder why the hell I keep doing this. I think about all the training I do for these race and yes sometimes I think I should just stop, sleep in have a lazy Saturday or Sunday. Instead I get up early to run or get up early to go on a long bike ride on the weekends. And certainly July was one of the hardest months mentally that I have had in a while. I think Rebecca Rusch said it best in her book “I am addicted to finish lines” I love the way it feels when you come across that line and your team/or friends are cheering for you or the feeling of even finishing at all. 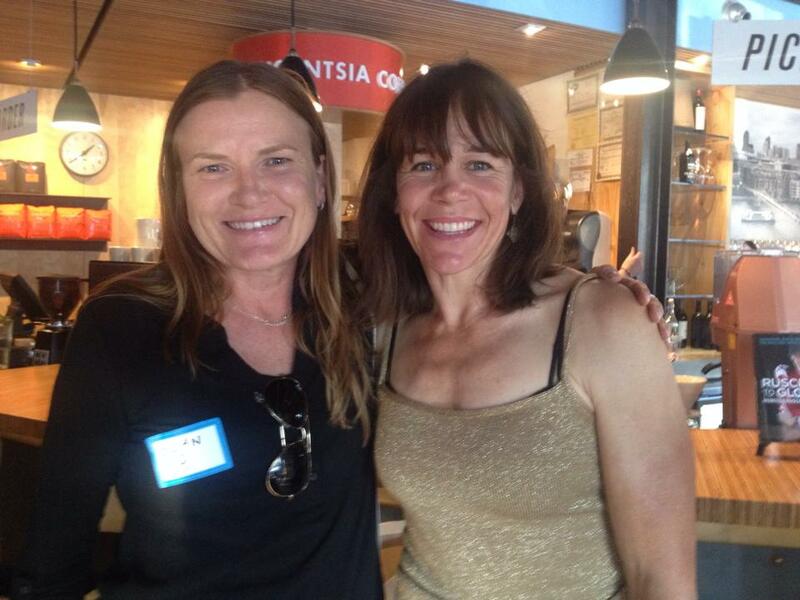 My experience at the Boulder Ironman this past August was case in point. I had flown out to spectate since I knew several people who were competing. The whole time I was watching and cheering in the heat and seeing some of athletes suffer from the altitude and the heat I just thanked god it was not me and after seeing the carnage of the marathon I had no interest in doing another ironman. Then, as soon as I got to that finish line and I was banging on those boards listening to Mike Reilly call out the names of the new or once again crowned ironmen I wanted it so bad. I wanted to go through all that pain and suffering just to see that finish line. I’m not anywhere good enough at any race to worry about winning or placing in my age group, I don’t think my nerves could handle that pressure but I like to get out there and train as hard as I can to see that finish line. I don’t think my brain or my body would be happy if I wasn’t doing something. 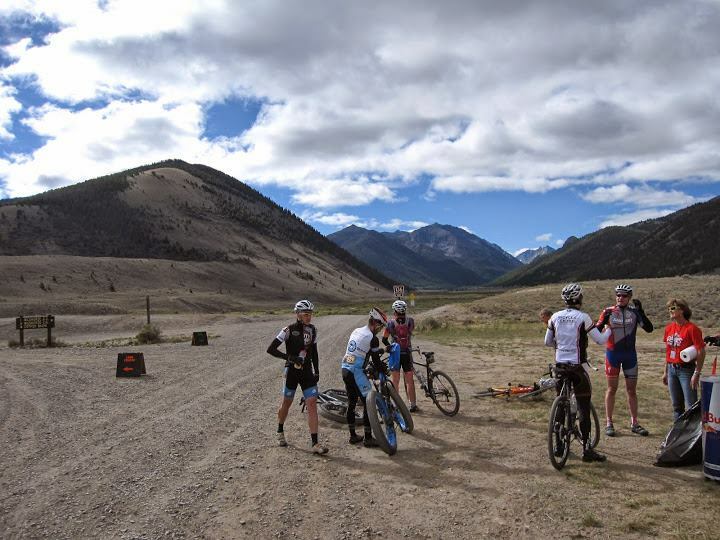 After we were dropped off at the our awesome hotel – the sun valley resort we all got into our bike gear and headed out for a quick ride. It was a short steep ride we were all trying to watch our watts but as we climbed I found myself in the lowest gear almost immediately. 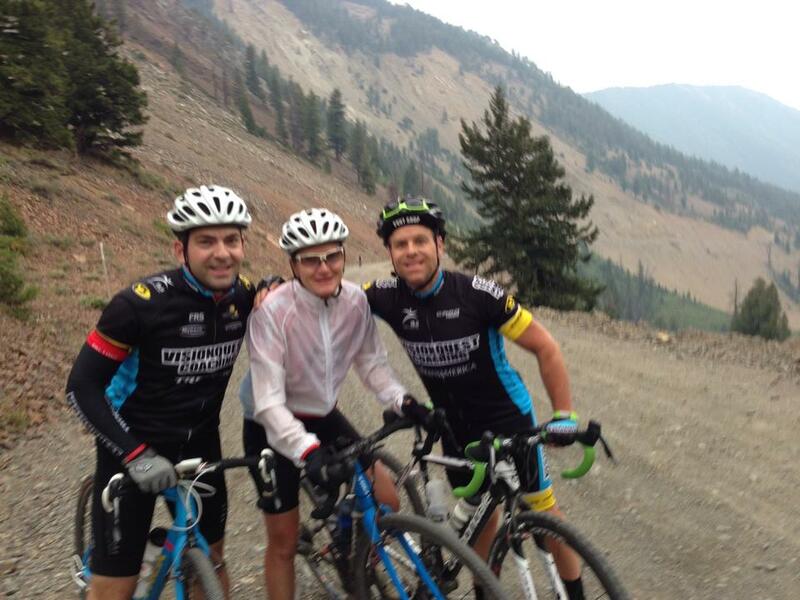 This concerned me because up until now I had always used my mountain bike for these gravel events. I had a ton of easy gears and I could bomb down the hills as well. The rest of the day I spent worrying about my gearing. Later that night we got to go to a VIP party in town for the race. We were given some cool swag and got to meet the girls Katie and Jen from World Bicycle Relief an organization that provides bikes to 3rd world countries as a means to go about their daily lives with improved efficiency. You can find more information to this great organization at this link: World Bicycle Relief . 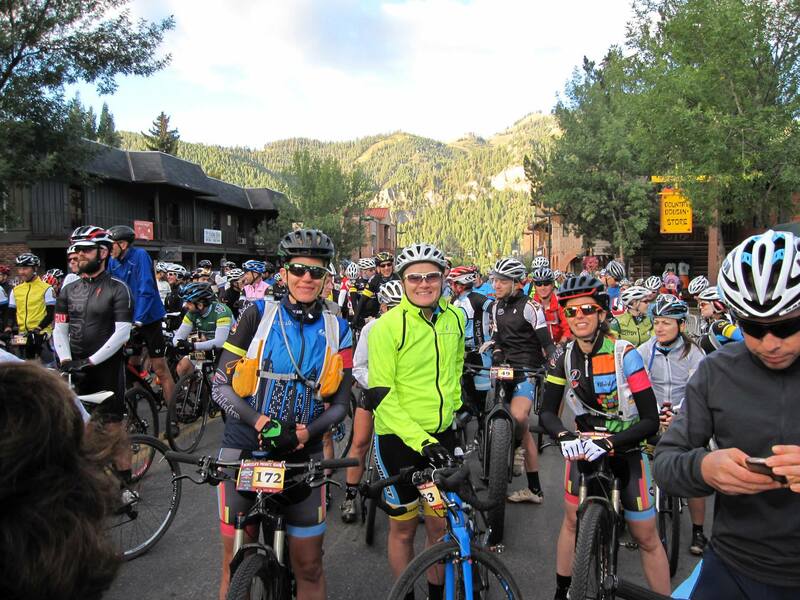 Visionquest raised enough money for 68 bikes! I also saw some of the folks from Dirty Kanza. I spoke with the race director and tried to talk him into sending me a 200 sticker that I had lost at the end of the DK200 race but he wouldn’t budge. I guess this means I need to go back. Kristin another Kanza organizer said she remembered me finishing and said that she had hugged me which I thought was really cool. The party was a lot of fun we had some great food and good wine. I soon forgot about my gears. Picture with Rebecca at the party. The next morning we went out on another ride, this time with the Queen of pain herself – Rebecca Rusch. This was about the 3rd time I’d met her and she recognized me from Kanza which I thought was nice. This time we rode the entire first climb of the course. I managed up it with my gears albeit slowly. Once I realized I could actually hang on even in the lowest gear I felt a little more comfortable. 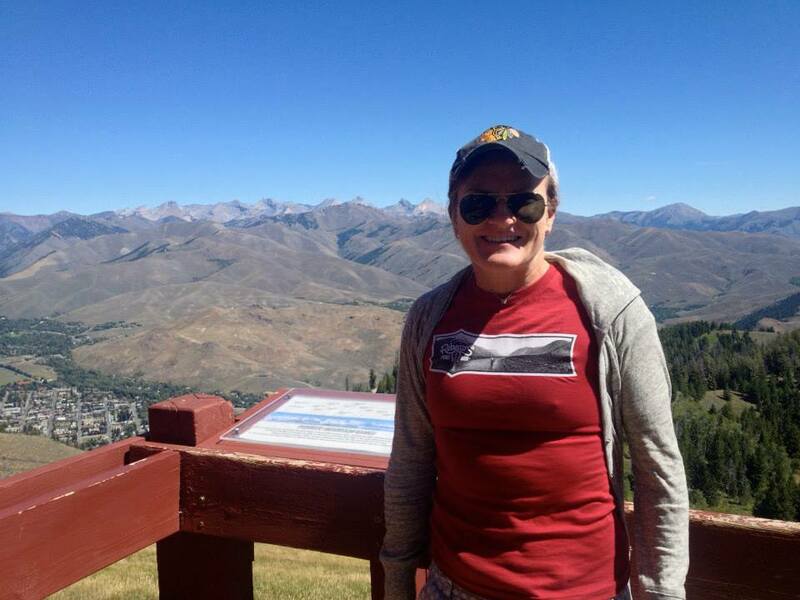 We had fun talking to Rebecca and enjoying the fabulous view. On the downhill we experienced the infamous washboards of the race. It was seriously so bumpy I felt my brain smashing around inside my skull. My arms and hands were shaking so much it was hard to hang on. You didn’t know whether to ride it fast to get it over quicker or ride it slow to slow down the bumps! Top of climb. It was a bit rainy and cold that day. 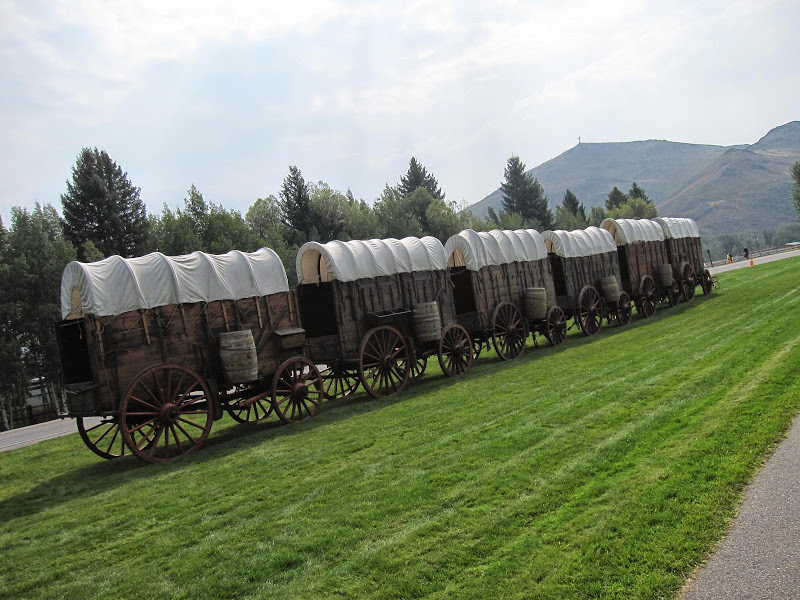 During the day we all watched the wagon days parade. Then headed back to the hotel for a big pizza / pasta dinner. Apparently I had worked up a hunger because I ordered the spaghetti and meatballs and the pizza. I ended up paying the price later as I woke in the middle of the night with sky high blood sugar. I hardly ever eat pasta and pizza is pretty infrequent too so I definitely misjudged my insulin requirements. Luckily I did wake up and was able to give myself a correction and was fine again for race morning. It could have been ugly if I hadn’t woken up. Thank goodness for the dexcom alarm! We woke up to a chilly morning. I ate my usual breakfast in my room of wheat bread, crunchy peanut butter and a banana, while the rest ate breakfast together. With a blood sugar reading of 100 I bolused about 50% for the meal and increased my basil to 120% for 2 hours to account for start-line adrenaline. Other than that I planned to keep my basil at 100% for the remainder of the ride. I had packed my bento box and shirt with cliff blocks and gels. For the first time in a long time I didn’t have my hydration pack or a liquid nutrition bottle with sustained energy. It was a bit of a risk but I planned on using more cliff blocks, gels and aid station food. 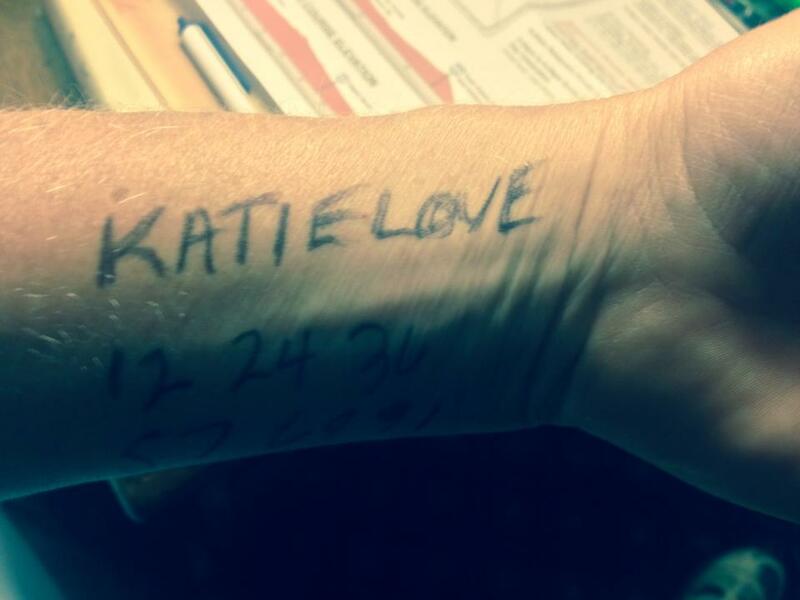 I wrote on my arm my inspiration – Katie love. I packed up my things and met some others to head to the start. I wore my arm coolers, thin vest and my VQ kit with long fingered gloves. I knew that we would hit the hill soon enough where I would get warm. Hopefully the vest would keep me warm on the downhill. The race started on a paved road, in fact the first 6 miles or so were paved. I tried to draft off of as many people as I could until we got to the gravel. I felt pretty good on the uphill and noticed that I climbed it faster than the day before. I came across a few teammates and one of the World Bicycle Relief girls. We chatted until we got to the top which made the hill go buy much quicker and it felt really easy. Later she said that she had been struggling and that I helped take her mind off of the struggle. It is always nice when we can help each other out during some tough times. We arrived at the first aid station and got a refill of gu roctane. I had only drank 1 bottle of skratch at this point. Although I made sure I drank I wasn’t sure if I had enough. I also had a qtr of pbj and one of the amazing roasted potatoes. Although I had been popping some cliff blocks along the way I figured I’d better eat some solids while I felt like it. I make my stop quick like I had been working on. The next several miles were a gradual downhill and I felt superfast on the Trek Cronus that Mike had so kindly lent me, the gravel was fairly hard packed. I averaged nearly 21 MPH. The next aid station arrived fast again I made it quick, having a couple of potatoes and a few sips of cold coke. All the time I had been slowly sipping on bottle # 2 of skratch and refilled again on GU roctane. I had brought extra skratch with me but rather than taking the time to mix it I just used what they had on the course. I wished I had taken the time because I felt that the GU roctane didn’t quite agree with me, it wasn’t what I was used to. 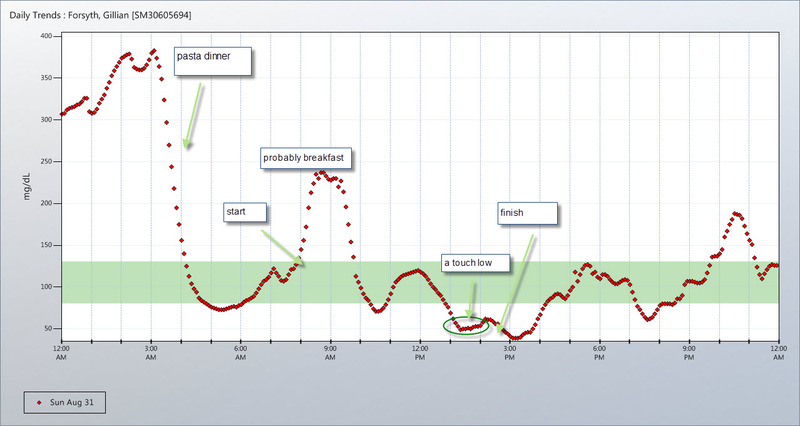 At this point I hadn’t heard any dexcom beeping and I felt good so didn’t manually check my sugar. I took off heading to the 3rd aid station. Which was a slight uphill. During this section I experienced lower back pain to the point where I was having to relieve it every few minutes. I figured it had something to do with increasing my running mileage. I tried to alleviate by going in the drops getting out of the drops but the only thing that would help was to stand up and give it a good stretch. At least it was nothing that was going to stop, it was just annoying. Before I knew it I arrived to see Mike’s smiling face at the 3rd aid station. What a treat. I knew he was going to be in the course but didn’t know where. Seeing him gave me a big boost. He asked if I had seen the cows and the antelope, I had not. I wonder if I just wasn’t paying attention? I thought I was enjoying the scenery. I grabbed half a pbj and 1 potato and continued on into the loop of the lollipop route. I noticed a girl wearing a bright pink t-shirt and bright pink compression socks and ended up behind her the whole way. I made it my goal to keep her in my sight. At one point she stopped at the side of the road I made sure she was ok and continued on. On this loop I did see the cows but no antelope, in fact at one point I slowed down as a cow was approaching the road and I thought he was going to walk in front of me but he stopped as he saw me. I guess I looked scary. At the end of the loop I ran into my teammate Andy. He wasn’t doing to well and had lost a bottle along the way. All I could say was 1 mile until we get to see Mike! In fact the entire loop that is all I thought about. 15 miles to Mike, 10 miles to Mike… We arrived at the aid station together I grabbed some more roctane and headed out. By this time “Pink Girl” had passed me again. She didn’t stop at the aid station like I did. I knew I was going to stop at each aid station because I only had two bottles with me but it turned out I really only needed 1. My back one was still fairly full at each aid station but better safe than sorry. I didn’t test at that aid station either because I really felt good and my Dex was not alarming. At this point I felt great and was excited that I was already 2/3rd of the way in. I arrived at the finish with some great cheers from the team and they said I was probably only the 10 or 11th girl to finish. I had no idea who was in front of me or who was behind me at this point. I just had a great race, it was an amazing fabulous day. I just couldn’t help think about how lucky I was to be enjoying this glorious ride and day. The views were spectacular to say the least and although my blood sugar dipped low I really like it better when I can maintain a more normal range rather than running high which is usually the case. These last few sentences sum up why I have forgotten about all trials and tribulations, all the mental anguish, all the tired Sundays and why I am signed up for my next big adventure! Even after I arrived home and was back at work I was basking in the glow of that race and the whole RPI camp. It was a great time with great people. It made me smile. 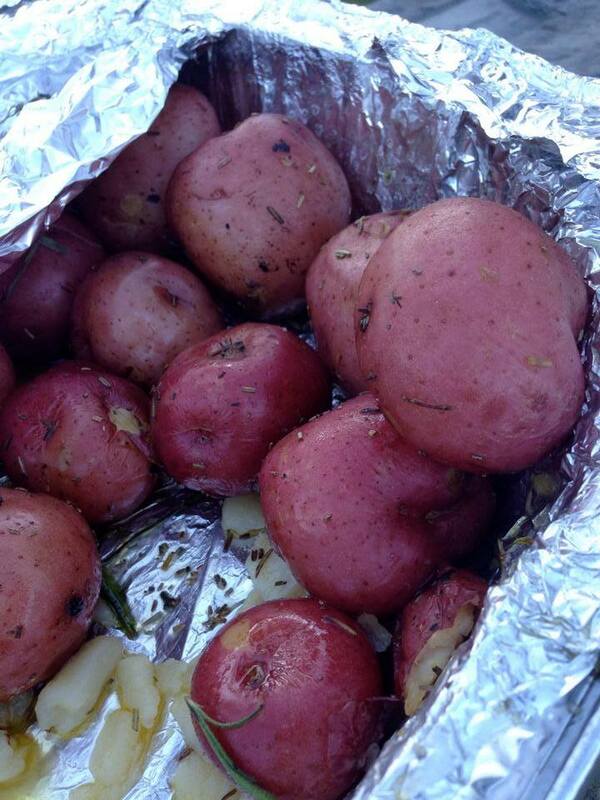 Awesome Idaho Potatoes at aid station. Finishing time was 6:37:08 over 94 miles and 5,200 feet of climbing. My max speed was 38.5 mph (woo hoo). Lesson learned – I should have stuck with my Skratch. Although most people left the next day I had arranged to stay another day in this spectacular place. I woke up late, went for a swim, I rented a city cruiser bike and rode it to the ski lift at Bald mountain and breathed the beautiful mountain air. I ate lunch at the roundhouse at the top of the ski lift. The views were stunning and it was so nice to just chill after racing. Mentally I usually prefer to take a day to relax after a race. I hate packing everything up and getting on a plane back to reality. A day is nice to soak it all up especially if you are surrounded by mountains. 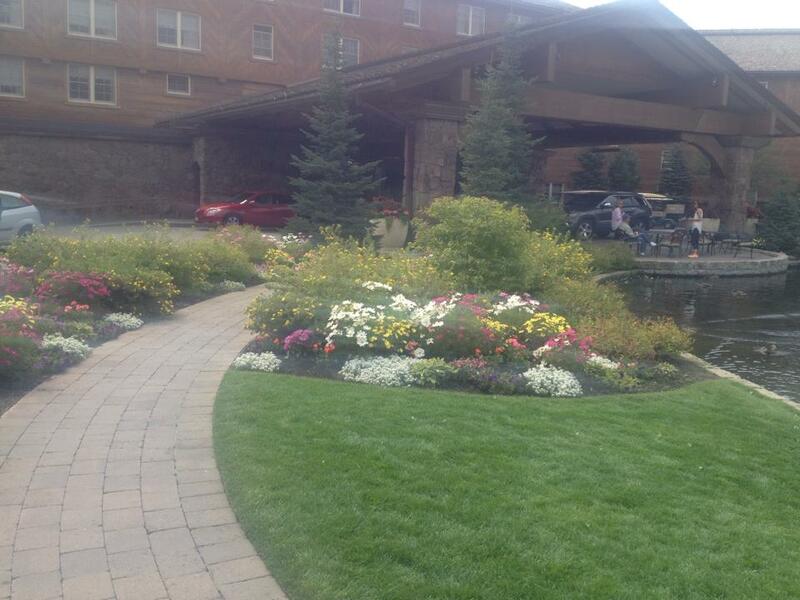 Honestly this place was a little slice of heaven. NEXT UP THE TWIN CITIES MARATHON ON OCTOBER 5TH. I need to start doing some serious running!!!! 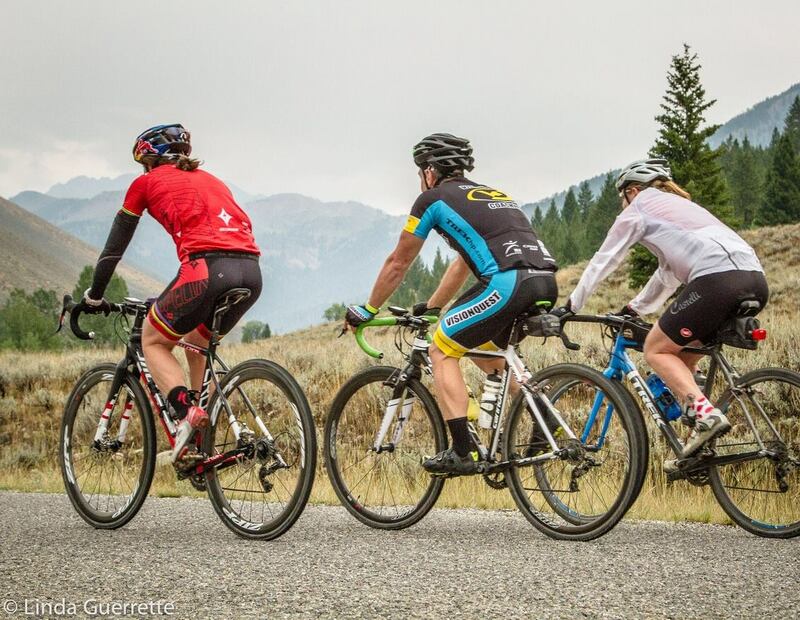 This entry was posted in Race Reports, Uncategorized and tagged blood glucose, cyclocross, Destination Races, dexcom, Diabetes Education, Gravel Road Racing, living with diabetes, Rebecca's Private Idaho, Vision Quest, World Bicycle Relief. Bookmark the permalink.